DTH drilling tool is a kind of drilling system which uses compressed air as motivation, makes drilling impact motivation parts down the hole, to control the piston reciprocating motion by the distribution device in the hammer, and then impacts the DTH bit in the front of the hammer to transit the impacting power to the bit. The DTH bit in the front of the hammer breaks the rock to drill hole. 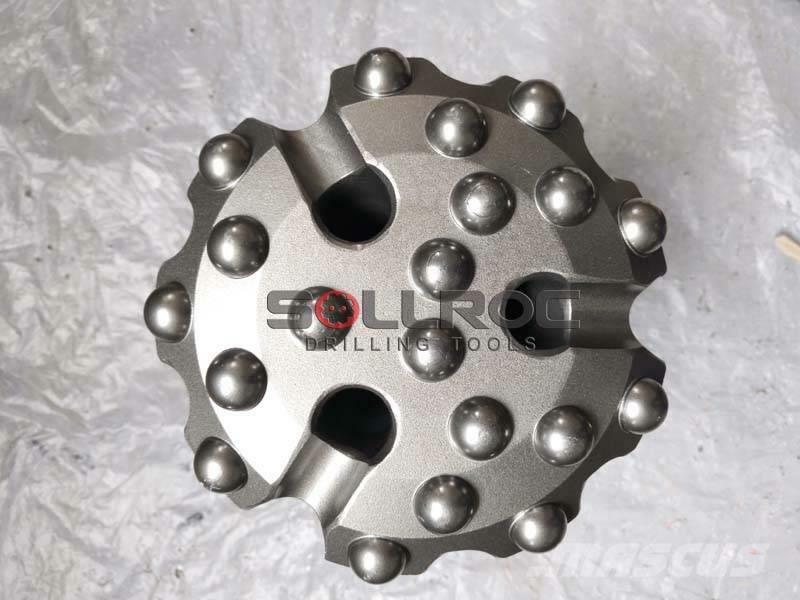 Sollroc can supply DTH hammers and bits from 2"-18" for shank DHD, QL, SD, Mission, Numa,etc. At present, DTH drilling tool is widely used in underground mining, quarries, hydraulic and Hydro-Power Engineering, water well drilling, Mineral exploration, anchoring hole drilling, geothermal engineering, Subway excavation, another civil engineering. 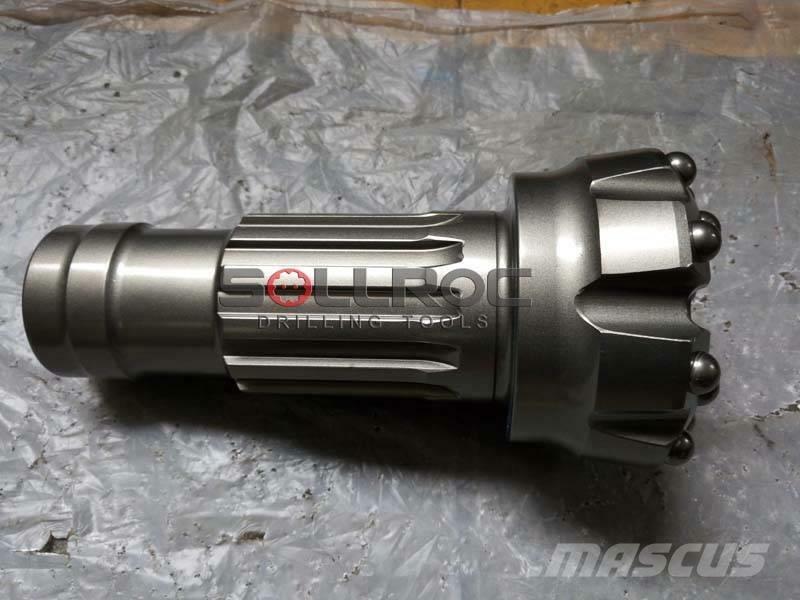 Sollroc , with more 10 years of experience ,is one of the professional manufacturer and supplier of high performance rock drilling tools like: DTH hammers and bits, RC hammers and bits, DTH drill rods and top hammer drilling tools. Our tools are widely used in different drilling applications including mining, quarrying, water well drilling, geotechnical industries and etc. Sollroc is specialized in designing, manufacturing and developing equipments and accessories for standard models as well as the special needs of clients and provides them with the best suggestions and solutions. We practice strict and stringent quality control during manufacturing and adhered to recognized and approved quality control systems. Each of our products follows the quality requirements and procedures to ensure finished products are durable and superior up to standard.